Perfectly classic, this 100% solid 14k gold bracelet is simply stunning. 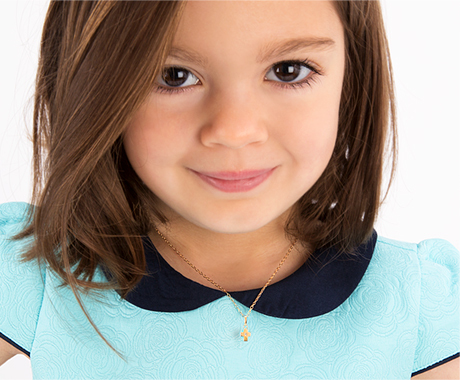 This versatile style is perfect for both special occasions, like her First Holy Communion, and everyday wear. All parts are hypoallergenic, lasting quality, and comfortable. Arriving beautifully gift wrapped in our signature blue box with darling white satin ribbon. A truly timeless design, this bracelet will be cherished for years to come. The brilliance of this 14k gold beaded bracelet will take her breath away! Classic and elegant, this beautiful bracelet will be a hit on her special day.